Donnie Yen (甄子丹) may be known for his flying fists, but the Hong Kong action star actually came from a family of musicians. Donnie’s father, Klyster Yen (甄雲龍), was a violinist. Aside from being a Fu Style Wudangquan grandmaster, Donnie’s mother and inspiration, Bowsim Mark (麥寶嬋), was also a soprano. Donnie himself played the piano, among other musical instruments. Dubbed as the “extinct perfect man” by the Hong Kong media, Donnie’s love and devotion for his family can be felt all over the world. Donnie’s wife, Cecilia Wang (汪詩詩), and his two children, Jasmine and James, are very supportive of Donnie and his career, and Donnie’s humility and commitment to the martial arts discipline is also worth to be admired! However, Donnie’s marriage with Cecilia was actually his second. What happened to Donnie’s first marriage? Not many may be able to recall Donnie’s first marriage, because it ended as soon as it started. Donnie met his first wife, Leung Zing Ci (梁靜慈), in 1990. The couple began dating in 1993, and in November 1993, Donnie brought Zing Ci to the red carpet event for his film, Heroes Among Heroes<蘇乞兒>, and introduced her to the public as his girlfriend. Donnie proudly professed his love for Zing Ci, and exclaimed that he would marry her as soon as he had earned enough money. Zing Ci also openly praised her boyfriend to be innocent, trustworthy, and reliable. After three months of dating, Donnie and Zing Ci married secretly in the United States. However, the marriage ended in less than a year. After their divorce was finalized, Zing Ci realized that she was pregnant with Donnie’s son. Donnie and Zing Ci’s son, Jeff, was born in 1995. The quiet, intelligent, and obedient Jeff is currently enrolled in a famous high school in Kowloon. Jeff has a love for drama and theater, and he recently won “Best Screenplay” and “Best Director” at a local school competition. Donnie’s marriage with Zing Ci may be over, but it is reported that the ex-couple still remain in close contact. Although not physically available due to Donnie’s filming commitments, he provides alimony payments, and recently purchased a million-dollar luxury home for Zing Ci and Jeff. In an old interview, Donnie had stated that did not owe anything to owe to his ex-wife. When Zing Ci was pregnant, Donnie’s mother, who resided in the United States, flew to Hong Kong to take care of her. When she was on labor, Donnie was also by her side. If true, he truly does not owe her anything. If untrue, he also does not owe her anything. He made his own career. She did not assist. Divorce is a divorce…good thing when they can walk away and still be in close contact…hopefully that is because of the son. He might not owe her anything, but he owes everything to take care/be apart of he son’s life. Seems like is doing that by buying the house….at least he’s not an absentie father like Gallen!! Seems like Donnie is the type to fall in love fast and hard (whirlwind romance). His ex-wife, Joey Meng & his current wife. What’s the story with Joey Meng? Why are my comments not published? Because of the link? Anyway Donnie fell in love at first sight for Joey while filming The Fist of Fury (ATV). He made a public love declaration on bended knees during ATV anniversary gala (not sure, but it’s a public event) and she was so moved, she said she’ll never marry anyone other than Donnie. They broke up 4 years later, because Joey was upset that Donnie still cared for his ex-wife family and always get jealous/argued for petty reason. Donnie career was not doing well at that time too. After their breakup, Joey said that they could never be friends. oh so that was the story with Joey meng. I guess all things end one day.. There are not many marriages that can last a lifetime with just one mate. Is Jackie Lui’s relationship with Joey Meng before or after her relationship with Donnie? Ahh, thanks for elaborating. I never knew Joey dated Donnie. Joey Meng sounds nasty. Donnie sounds like a soft guy at heart. I do agree he owes his 1st wife nothing. He helped raised their child and that is enough. What more must he do? I can see where Joey is coming from though … Hard to develop a relationship when his ex family is so vibrantly in the picture. However with his new relationship, a lot of the issues with ex family has been settled. It makes sense for their relationship to not work too well. I do find Joey like Margie tsang, dating hot men!!!! Joey Meng dated two hot hunks: Donnie Yen and Jacky Lui. Do you remember why she broke up with Jacky and how long they lasted? Thanks for the scoop on Donnie. I remember they were in the tabloids a lot while dating, but didn’t follow their romance closely. I didn’t follow Joey Meng romance that closely. Just that I happen to read interview of Donnie mentioning about his son. However, that tone of article indicate that while he provided for his first son living and education, he doesn’t spend much time with him/involve much in his life. And for trivia sake, his son name is Wen Zhou. Yeap, same Chinese name as his mortal enemy Zhao Wen Zhuo! The irony eh. Oops, typo in the pinyin of his son’s name. Ohhh so she’s Joey Meng…yeah, she’s that sweet, vulnerable looking actress I used to like, especially in I Have A Date With Spring. Imagine, she’s 42 now. How time flies!! by the way, he made millions right? what’s a mere million to him? charity? so righteous, give half of what you have to your ex and stop boasting! Comparatively, he is still less of a A** that Gallen Lo who goes around sickeningly commenting on his ‘good husband’ good father’ intentions with wife #2. All the while ignoring he isn’t exactly attentive to the needs of his ex/first so. Or even acknowledging he was once married. And how does his ex wife and first son feel when they read his comments towards his other family when he showed nothing of that to them? 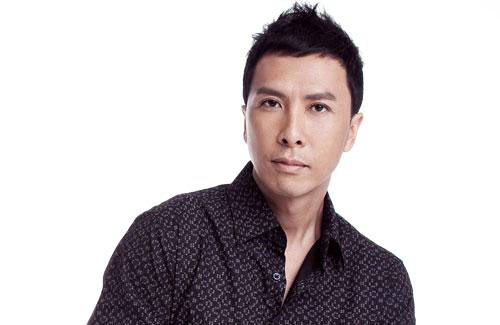 I am so NOT a fan of Donnie Yen (find him egoistic) but I’d give him credit. At least he tried to do his bit of support, and not cut off the son or selfishly wash his hands off, post- divorce. I am not a supporter of Gallen, and I sure don’t like the way he is right now. But I read somewhere that he still supporting his son? And he went to his son’s graduation or something. I also give Donnie credit since at least he is trying.. With Gallen, to give him the benefit of the doubt, I guess we do not know for sure he does behind the scenes and maybe he does do things with his son that we don’t know about?? But i do find it annoying of him bragging about how happy he is in his current marriage. three months and they married each other? isn’t that to early? IMO three months is the time you still is in the prosess to get to know each other. Talking about whirlwind romances, none was faster than former Miss HK participant, Suki Chui and her restaurateur husband, Kenny Wong. Kenny revealed that he slept with Suki within one week of dating, in which she became pregnant. They had a quickie wedding too. Very risky to decide your the fate of your marriage life in one week’s time. For suki and Kenny – they were matched by mak ling ling so I guess the whirlwind was predicted by a credible source for them. True. But Barbie too was a shock for me haha. Wow 1 week ok that is pretty early, but good that they still are married. Thanks for the info about Kenny and Suki. Wow!! I did not know that there was a couple even faster than Barbie and Xiao Fei. But then again, Suki was pregnant so they had a lighting flash wedding. Are they still together?? I do not think we should put all of our faith into Mak ling ling or any fortune teller. Who knows if any of it is even true?? Why does Donnie sound like money is everything? He says he doesn’t ‘owe’ his ex-wife anything but in fact he does. IMO She may have got some alimony from Donnie, she was a single mum. Imagine how difficult it was to raise a kid 20 yrs ago and in Asian society. The talk, the stare etc from other people. Jeff having to deal with people asking who and where is his dad for school family events and family trips. Having birthday party without a dad. No other brothers or sisters. Did she even got marry again? He did and boost how happy he is with his second wife and kid. We don’t want to admit it but it’s a lot easier to find another partner if you don’t have a kid (buy one get one free). Does it matter? He needn’t concern himself with her future. What he needs to concern with is the welfare of their child. And from what I read, he did. I don’t know what he paid and don’t really care but I doubt it would be an amount considered looking after the welfare of the child. I was simply pointing out that it’s harder for women to find another partner when you have child. But good on her for keeping Jeff and raising him then leave him behind. My cousin with two kids gonna marry second time round in dec. My aunt married 3 times and got a child for every marriage , so all her children carry diff surname. So, I can conclude it all depends on your fate! after they came to know of the pregnancy, did they to get back together again? correction.. after they came to know of the pregnancy, did they try getting back together again?